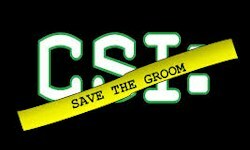 CSI Save the Groom: Our C.S.I – Save the Groom event is our most popular Hen Party, because the crime is the Bride’s worst nightmare, which is always fun to mess around with. Don’t worry, it’s all very tongue in cheek! We get the “Best Man” to film the groom getting kidnapped or we just make the story up. We then get the “Maid of Honour” to take the group along to a café/bar, where they will be met by our professional actor playing the hilarious Gardaí Inspector who will show the group the tape. The teams become detectives and must then set off and follow a trail of clues to rescue the groom before the big day. The winning team will win a bottle of Bubbly. Please note this is a very interactive activity, for the best enjoyment group members will have to get involved, not suitable if you think there are alot of “quiet” people in the group.